Have you ever wanted a burger that was fast, but didn’t taste like fast food? Well, I know a place where you can get that burger…and some fries, a cookie and maybe even a beer. OrderUp! My friend Margaret introduced me to OrderUp while I was in college, I would guess around eight years ago. It was convenient and an easy place to go and catch up over an inexpensive dinner. Plus, the food has always been great. Over the years, the menu has changed a bit. They used to have an even larger menu including pizzas, but now they specialize in burgers and fries, and also add delicious homemade cookies, milkshakes, salads, breakfast items and tacos to the menu. Some of the tasty options at OrderUp! On any given day that you walk into OrderUp, you will see a wide variety of people inside. Alamo Heights High School students, families with their kids, college students from the area, moms doing lunch, adults and older folks – the restaurants caters to everyone. It is a casual restaurant, so you don’t have to get dressed up to go and can bring your whole family. They play cool, hip music, but not so loudly that you can’t have a great conversation with whoever you are with and on Friday nights they have live music. OrderUp uses local meat, organic veggies, and just generally super-fresh ingredients. 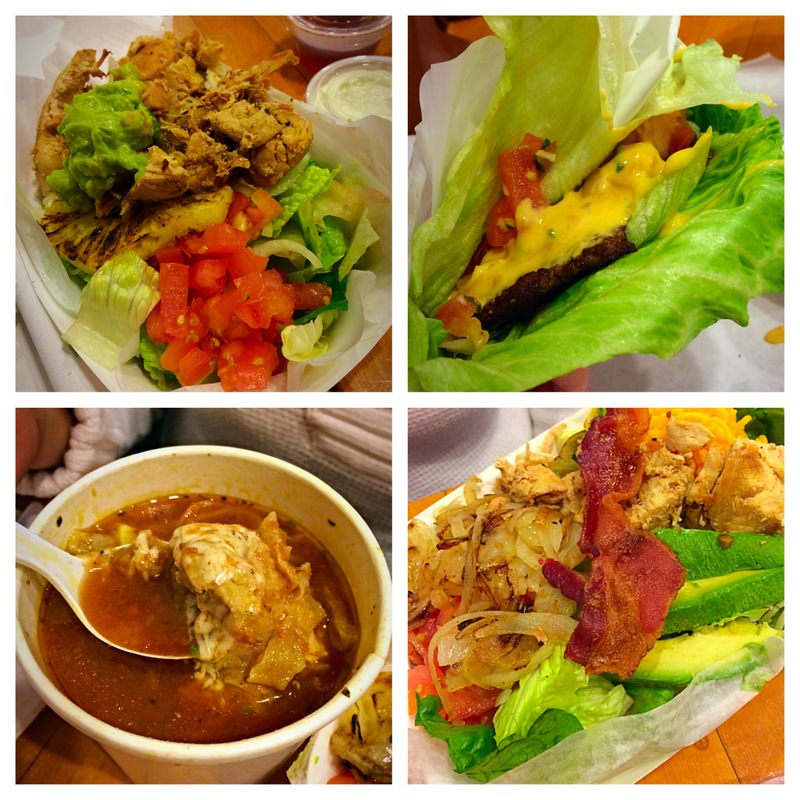 Plus, they have healthy options, such as bun-less burgers wrapped in lettuce and you can even ask for the tacos to be lettuce wrapped instead of the tortilla. This is something I appreciate because I try to eat low-carb. When you think of food that is fresh and healthy, you do not normally think fast and inexpensive, but somehow OrderUp figured all of this out! It’s pretty amazing that you can get a fresh made chicken sandwich with fries in under ten minutes for less than $10. You can see why I have been a fan for so long. I go to OrderUp at least once every two weeks. The reason I keep coming back is simple – the food is delicious and quick, the atmosphere is relaxed and fun and I have a lot of options. I really think word-of-mouth means a lot about the quality of a restaurant. I didn’t stumble upon OrderUp, I was introduced to it and I have since introduced many of my friends. I really think that OrderUp has a following because people really want to bring others here to show off the restaurant and relax with friends or family. I have tried many, many items on the menu and you really can’t go wrong with anything on the menu. I am a big fan of the superclub chicken salad and the bbq chickenburger. Zach loves the la bamba burger and the superclub chickenburger. They have so many options, there is no way you won’t find something you like. I had the chance to interview David, the owner and creator of OrderUp. He loves food, he loves San Antonio and Alamo Heights and his passion for using the best ingredients and catering to the customer is obvious. If you aren’t going to OrderUp solely based on the fact that I told you the food is outstanding and inexpensive, you should be going because the people who own and work there actually care about what they are serving you. Don’t miss out on a great meal and try OrderUp as soon as you can! Episode three of Behind the Savor is all about fresh, fast and fun food at OrderUp!